SHREVEPORT, LA — The Centenary Piano Prep Program (CPPP) at the College’s Hurley School of Music will hold a four day piano camp from June 4 -7, 2019. The camp is open to beginner or elementary musicians ages five to 11 years old who play piano already or would like to learn. 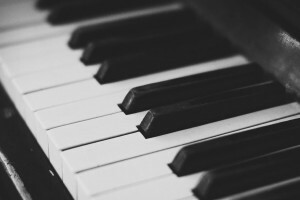 Classes will be held from 10:00 a.m. to 11:00 a.m. on each day of the camp and include instruction in the basics of music, piano theory, ensemble playing, and piano improvisation. Tuition for the program is $152.00. The CPPP has two teaching studios. Natasha Miller, a graduate of Arkhangelsk Pedagogical College in Russia and the holder of a certificate in Piano Pedagogy from Stephen F. Austin University, is the Director of the Program. Program instructor and Centenary alumna Cara Lamb was the holder of the Hurley School of Music’s highest honor, the Mary C. White Scholarship, and was the winner of the 2012 Monroe Symphony League Emerging Artists competition. For more information about the CPPP piano camp or to register, contact Natasha Miller at 318.771.1909. Other camp dates and times may be available for those unable to attend the June camp.